George Graham reviews Trashcan Sinatras' "Wild Pendulum"
There is a good deal of retro music about, much of it by young musicians who were net yet born when the styles they draw upon were at their height. There is also still a fair number of musicians who whose careers are long enough that was is now retro was current when they were starting out. Then there are those who have been doing retro music for a long time even though they were not part of the original wave. We have an example this week, an entertaining new album of melodic Sixties-influenced pop by the Trashcan Sinatras, called Wild Pendulum. The Trashcan Sinatras formed in Scotland in 1987, with one of its members from the start being Frank Reader, the brother of Scottish vocalist Eddi Reader. Originally a cover band, Trashcan Sinatras transitioned to doing original music and were signed to a record label, which released their debut album called Cake in 1990, which received some critical acclaim at the time. They released two more recordings during the 1990s, and then in 2000 came to the US to work on what would become their album Weightlifting, which was not released until 2004. During that time the band went through a number of difficulties, including apparently financial, and its members became separated for extended periods. But by then, the band was working independently and using the Internet to develop a fan base and to distribute their music including some special material for their fans, on the Web. They issued an acoustic album called Fez to fans in 2005, and five years later a studio project called In the Music. 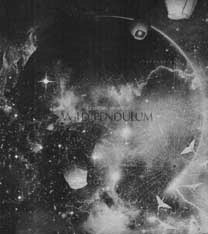 In keeping with the band's Internet affinity, they turned to their fans for crowd-funding their new album called Wild Pendulum, which is now out. The group became bi-continental when bassist Frank Divanna from Los Angeles joined the otherwise Scottish band. Perhaps as a compromise, Trashcan Sinatras recorded the new album in Omaha, Nebraska, possibly to take in the Midwest Indie rock scene with artists like Conor Oberst. What the Trashcan Sinatras come up with on the new album is an interesting mixture of 1960s pop ingredients with influence by groups like the Association and some of the arrangement quirks of Bert Bacharach, and even some doo-wop influence, with a strong emphasis on a melodic sound. But there is a kind of intertwined influence from contemporary indie rock with its occasional tendency toward getting atmospheric. One can hear a string section and some female backing vocals that at times can be reminiscent of the soundtrack to some 1960s movie. The result is pleasant but a little quirky. It's also not the most coherent sounding mixture, with musical elements and borrowed arrangement ideas sometimes seeming to be just thrown together to see what comes out, and at others, it's quite successful and imaginative. The group has been known for their lyrical wordplay, and there is more of it on the new album, along with some guests like a string quartet. Interestingly, with the retro sound of some of the added parts, they go and take it out of context by using those 1960s-sounding bits as samples giving a kind of jarring effect. But overall, it's a fun album. Wild Pendulum, the new release by the nearly 30-year-old band Trashcan Sinatras, is a fun record of retro music from a group that has been doing this sort of thing since it was not quite as retro. It's the first from the group in six years and they apparently brought along a lot of ideas. The retro touches, many from the quirkier side of 1960s pop and psychedelia, are at times charming and at others a bit of a mess. They also bring in some of the contemporary Indie rock touches such as the atmospheric quality to the sound. The band's songwriting is first rate throughout, and their vocals, with Frank Reader the main lead vocalist, get it just right. For our sound quality grade, we'll be merciful and give it a C-minus. The mix is generally good with allowances for the retro stuff. But the overall sound is badly over compressed, even for pop, to make it loud all the time, with little dynamics and an overly in-your-face sound that gets fatiguing after a while. There's no shortage of retro pop on the scene these days, but Trashcan Sinatras bring their own often-clever twist to it, and make another worthwhile recording that is likely to please their fans and the critics.